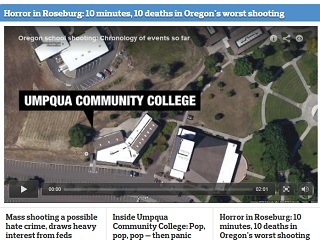 Alerted to the Kimber overlap, The Oregonian acted quickly. In the midst of an emotionally wrenching breaking news cycle, Oregon’s oldest daily newspaper was reminded of the challenges of serving up the proper digital ads. To its credit, The Oregonian handled the situation quickly and efficiently.